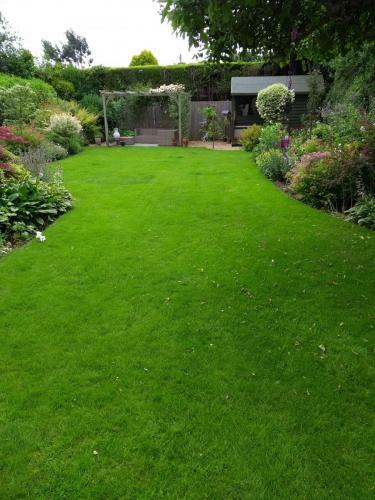 “I brought in Mark last spring having had a slight accident in applying fertiliser on my back lawn also the lawn had been going downhill for a couple of years or so. Seeing it now, it does not seem the same lawn. Mr S – Hook Heath. 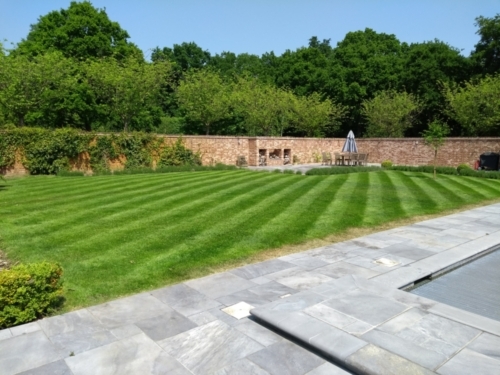 “Our lawn has been struggling to cope with the effects of our female Spaniel creating brown patches for years, and was sparsely covered in other parts, due to sun / shade issues in different parts of the garden. 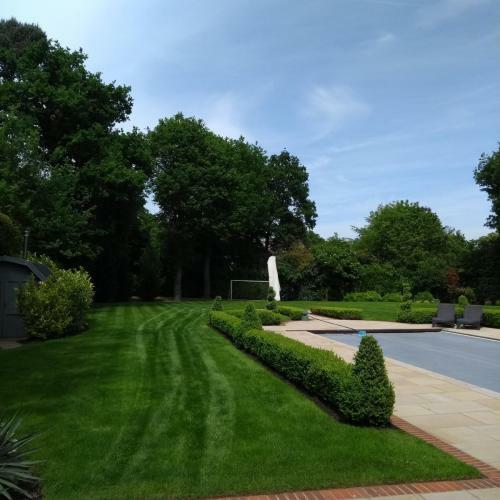 Mark came over and quickly presented his proposals, which involved a step-by-step approach over the season – scarify / hollow-tine / fertilise / re-seed, which we have now had completed over recent months, such that the treatments can be easily appreciated. Mark has persisted and often gone the extra mile, e.g. when man-handling a heavy machine up our narrow steps, or offering ad hoc / follow-up advice by phone / text along the way to ensure that we obtained a satisfactory result. Mark has been a pleasure to deal with and I am happy that we have been able to support a local business getting underway. 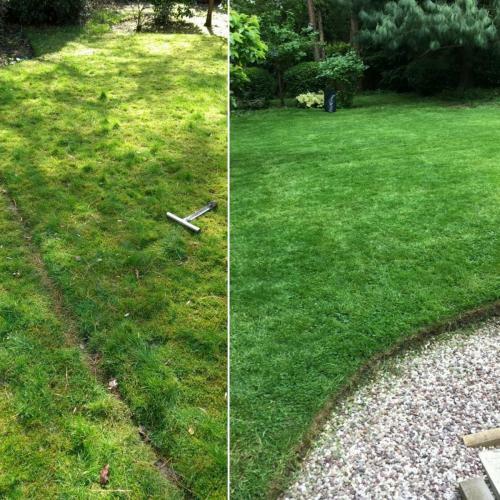 “Mark did a great job of overhauling our lawn. We have so much moss from years of neglect. After applying lawn sand and then scarifying, bags upon bags of moss were removed. Then came the soil preparation (hollow tining) and then seeding and feeding. I’m sure there were plenty of other tricks mark used too. 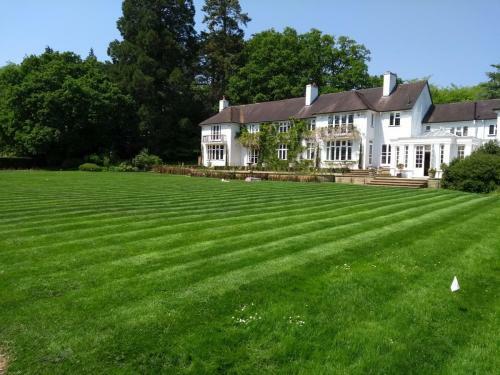 Within 6 weeks, we had new grass where the moss had been and the whole lawn looked so much better. 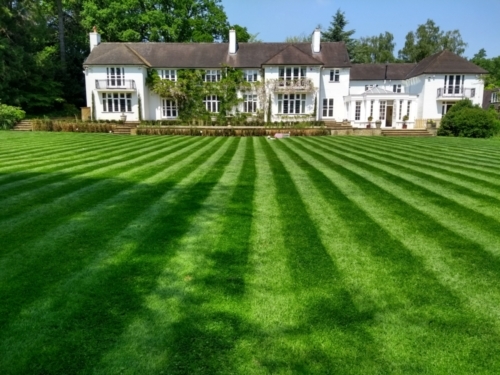 “We engaged Lawn Crew to help us recover our large lawn. It had been suffering from neglect over many years. Mark explained exactly where we had been going wrong ( e.g. 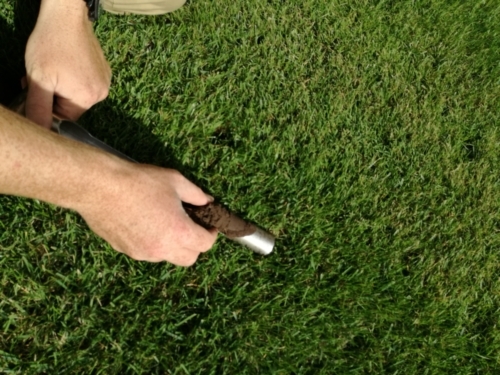 cutting too short ), why moss was growing, what the soil balance and structure was and more.